St. Michael the Archangel - Times Publishing Newspapers, Inc.
Students are encouraged to improve their fitness, develop self-respect, and respect the wellbeing of others. 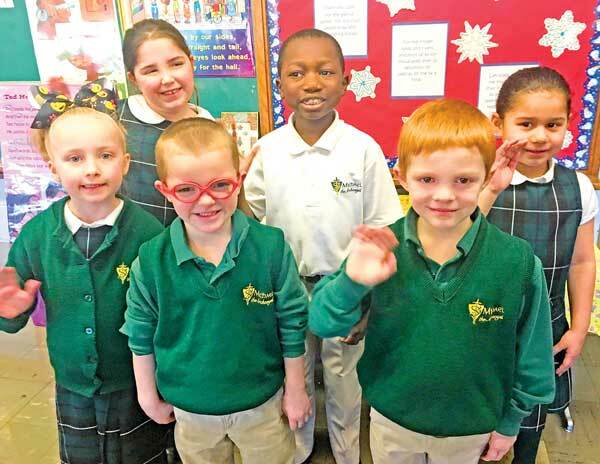 Last year, they were awarded the Certificate of Achievement Award, issued by the Archdiocese of Philadelphia for SMA School’s outstanding academic growth. This special Catholic school offers music taught by Mrs. Masson, classically trained in opera with years of experience in musical theater. Mrs. Masson runs Musical Theater, offered every Tuesday after school. Physical Education at SMA provides students the opportunity to develop physical skills in a safe and enjoyable environment. Numerous offerings at SMA include Art Club, Band and more. SMA School CARES Program services members of their parish school community who desire before and afterschool care, from 6:30 to 8:30am and from 3:00 to 6:00pm, for their children (Pre-K through eighth grade). The program provides professional care, supervision and recreation for children. Several Clubs are an important part of SMA School: Rosary Club, Book Club, Reading Olympics, Chess Club, Musical Theatre Club, Two Art Clubs (Lower and Upper Grades), Robotic Club 5-8, Tutoring Club and Service Club. Students Grades 4-8 are provided with an iPad for use at school and home. SMA is happy to offer a Bishop Tuition Transfer Grant program available to families with elementary-aged students (grades 2-7)! New, eligible applicants from non-Catholic schools will receive a $1,500 tuition grant upon admission. Students who maintain attendance will get $1,000 off their first year, and $500 off their second year of tuition. To learn more and apply, contact their admissions department today to schedule a personal tour by calling 215-943-0222 or visit them online www.sma-pa.org. Schedule a day to come in and see why they are so proud of SMA school! Saint Michael the Archangel Catholic School is located at 130 Levittown Parkway, Levittown. PHOTO CAP: Back row, from left, Julianna Siminski, Manasseh Saygileklay, and Ariana Avila Great. Front row, from left, Kali DeZolt, Russell Rule, and Wesley Rule.